Finally catching up with the rest of the smart phone world, Apple is releasing its biggest smartphone yet, measuring in at 5.5”. For Apple, this is groundbreaking as throughout their new product releases, not much has changed with the size and overall design of the phone. As they remained conservative with their design, other manufacturers have experimented and made great leaps which has started to leave Apple behind in the dirt. It was a huge leap for Apple when they finally upgraded the screen size with the iPhone 5/5s but it was still only 4” while most other flagships were at least 4.7” or larger. 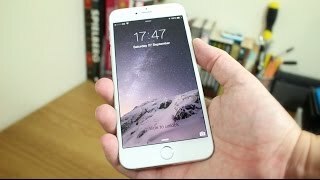 While Apple has upgraded its new 6 Plus to 5.5” they have also ensured it remains cozy and natural feeling in your hand. The 6 Plus is still refreshingly sleek, perfect for the minimalist, with a beautiful aluminum finish, meshing perfectly with the glass screen for an ideal, thin profile. 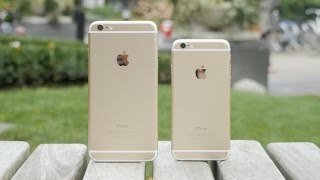 The iPhone 6 measures 6.9 mm thick while the 6 Plus is barely wider at 7.1 mm but it still beats the 5S at 7.6 mm. Another great improvement to the physical design of the phone is the transformation from being a hard edged rectangle to having curved edges. With the curved sides also came the pill shaped volume buttons which were first featured last year on the iPad Air. A great security feature being implemented on the iPhone 6 Plus is carried over from the 5s but definitely couldn’t be left out. The state of the art Touch ID finger print scanner. This scanner is on the home button and allows only the owner of the phone to unlock it. For the screen, the highest quality display available was incorporated into the 6 Plus with a 1920 x 1080 display and 401 pixels per inch. Although for months there were rumors flying around regarding the new iPhone having a display created from Sapphire glass, we are afraid that was unfortunately untrue. The only word we’ve heard describe the screen so far is “ion-strengthened”. The quality is sure there but sapphire glass is supposed to be less susceptible to cracks which would prolong the life of the phone. Apple has taken advantage of the new and enhanced screen quality and screen size with improved apps and features in the iOS 8. One of the most useful features included with the 6 Plus is split-screen mode. This can be used in both apps and on the home screen to maximize your time and make multitasking just that much easier. 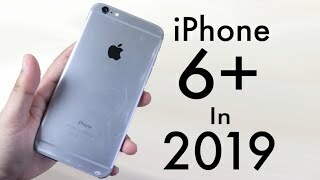 Incorporated into the new Apple iPhone 6 Plus is the new technology of the 64-bit A8 chip which is an advancement of the A7 used in last year’s models. It is 13% smaller than the A7 and supposedly runs the CPU 25% faster along with 50% quicker graphics. The newest version of Apple’s Motion processor, the M8 is also carried in the 6 Plus which includes a built in barometer. Thanks to the new processor, there is an upgraded radio and smart Wi-Fi which will pick up any available network to avoid dropped calls when there are signal cut outs. For any Apple fanatic, you’ll be thrilled silly with the newest and greatest Apple iPhone available in Dubai. 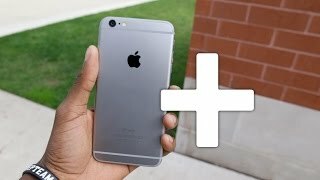 As for Android fans, the 6 Plus may actually convert you to Apple once and for all. 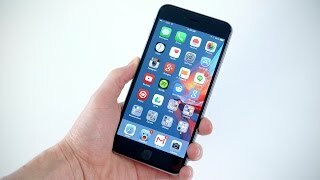 Everything that was missing from previous versions of the iPhone have been naturally incorporated into the 6 Plus such as a larger display, faster processor, and sleeker design. 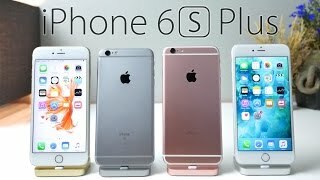 The Apple iPhone 6 Plus Dubai price will vary based on the internal memory size which varies from 16 GB, 64 GB, and 128 GB but remains affordable no matter which size you choose. 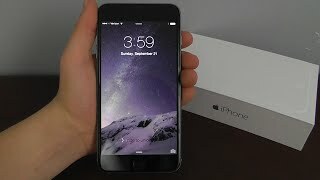 Apple iPhone 6 and 6 Plus Review! Price has decreased 25% from AED 2520 on 2016-03-19 to AED 1897 today.